Hey everyone! I have a new home for you all today. I have been sitting on this house for a while and thought it was about time I shared it. The home is a townhouse style, and was built to hopefully replace the Goth Manor in Willow Creek, but placed across the road. 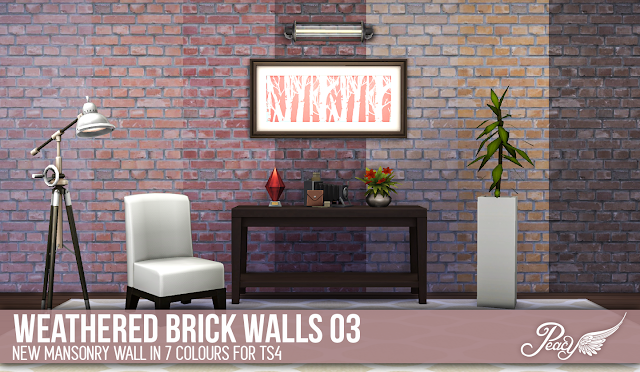 CC happened though, so it became a testing bed for new walls I made. So yes, this lot requires custom content made by me (only wallpapers). If you don't want a cc game, you can dl and add the wallpapers you want, or just download the wallpapers i made prior to installing the lot via the launcher or the archive provided below. It is a three story home with 4 bedrooms, 3.5 bathrooms, 2 living rooms, modern kitchen and formal dining. The third floor can be hard to use sometimes due to the camera acting weird because of the mansard roofing, but most of the other amenities are downstairs, so you don't need to use that floor that much. 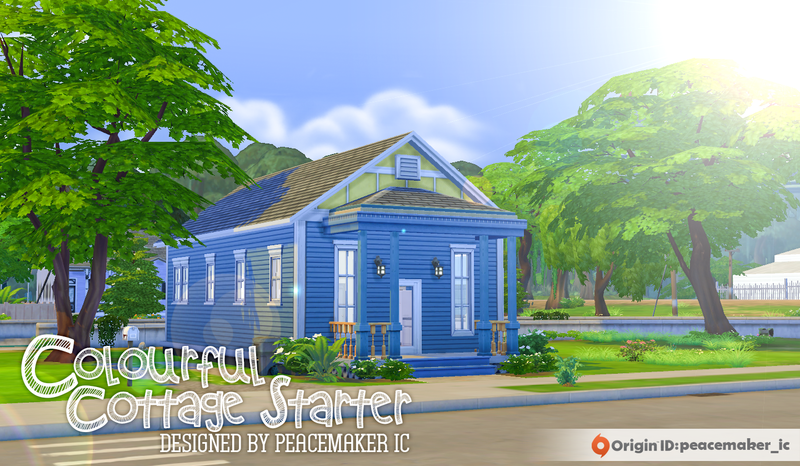 You can find the home in the gallery by searching for my origin ID peacemaker_ic, or the tags #PeacemakerIC, and #SimsationalDesigns. A new week and a new upload! This time I have a new piece of clothing for you all. Frankenmeshing is still relatively hard to accomplish, but mesh manipulation is very doable. 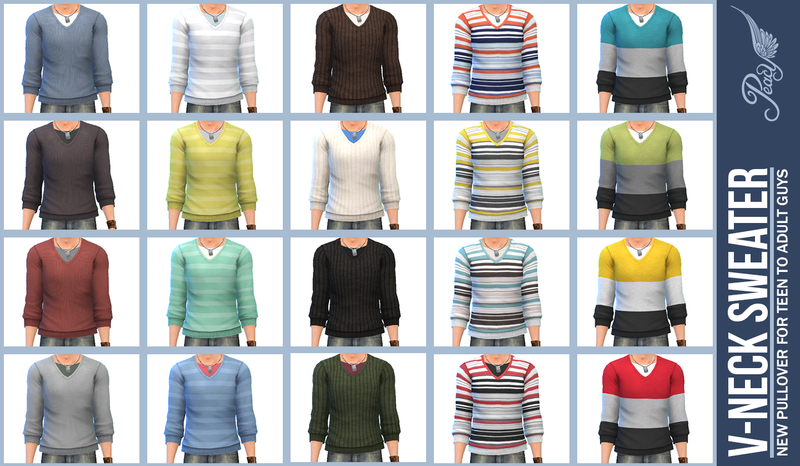 This was the rolled sleeve tee loosened and retextured to give you this lovely V-Neck Sweater. I really love it. 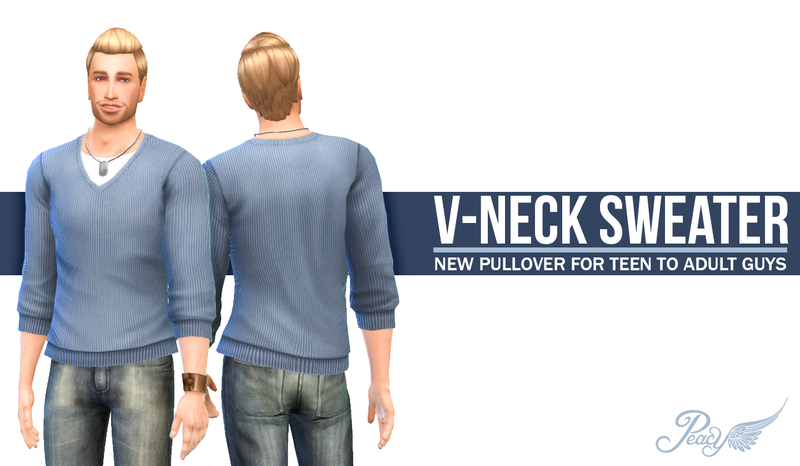 The sweater is actually inspired by my favourite TS4 sweater, but minus the deep v-neck (which I like calling a douche-neck). I am really happy with the outcome and i hope you enjoy it as much as I do. Firstly, hello fellow simmers! Thank you for reading, this contains some important information for some of you. For those experiencing random crashing with my TS4 clothing, whether in CAS or in-game, there is this helpful little tool created by Cmar over at MTS that should help fix it for you. Since these are isolated issues with only some users, I see no need re-releasing the items with this fix. It is easy to do yourselves with the helpful too. It basically just fixes 'missing' bone assignments which are not used. Head over to this thread to download. If you are having issues with other items, see if the tool works for those too. It is due to my wall images not being scaled down to Maxis size. 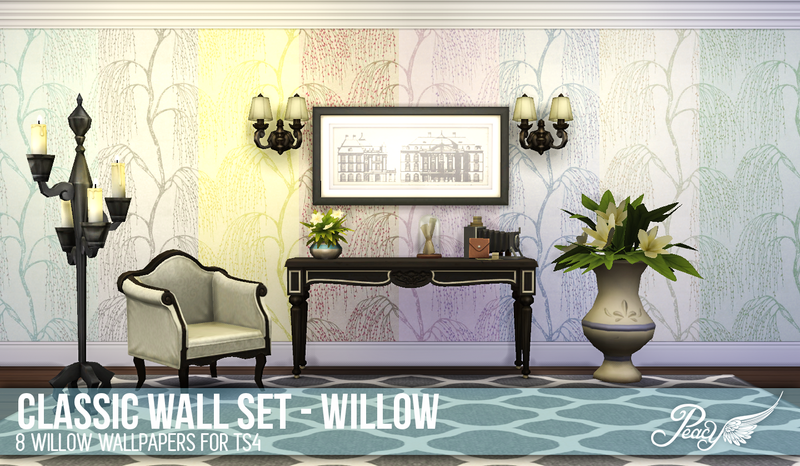 Unfortunately I will not be remaking my walls to Maxis sizes so they work for everyone. The reason being is it will ruin the quality of the image, especially the patterns. I cannot bring myself to do that as they would be completely unusable for me. I am not sure why the issue occurs, but my guess is it is much like the intel graphics card issues that cause CAS crashes. So hence fourth, I will put warnings on the walls. I am sorry for the inconvience and I had hoped it was an easier and less destructive solution, but because it would ruin the quality of the walls in my eyes, I will not apply the 'fix'. I hope you all understand. I guess it was a choice made to increase performance, one I wouldn't have made myself. 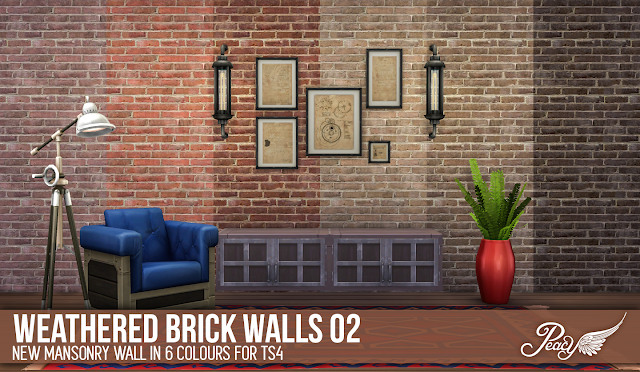 Next up is the first of 3 weathered brick textures for interior and exterior use. I love brick, and I wanted more choice, and now you all have more choice too! And in multiple colours! It is a win-win scenario all-round. 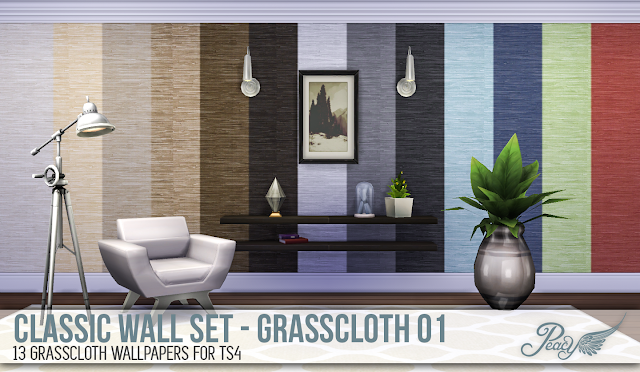 Here is the grasscloth pattern I made for TS3 converted. 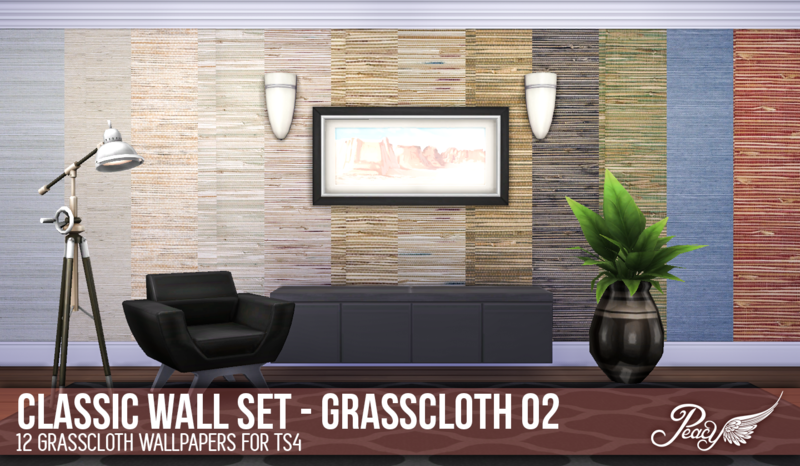 I really like grasscloth, it adds a textural element to a room. Even though grasscloth is not seamless horizontally due to it not being printed by actually woven, it adds to the charm of the wallpaper and makes it one of my favourite walls to decorate with. I doubt this will get many dl's because people will think it should be seamless, but to those people i will say this: If you think grasscloth should be seamless, then you don't know what grasscloth is. I have a problem. 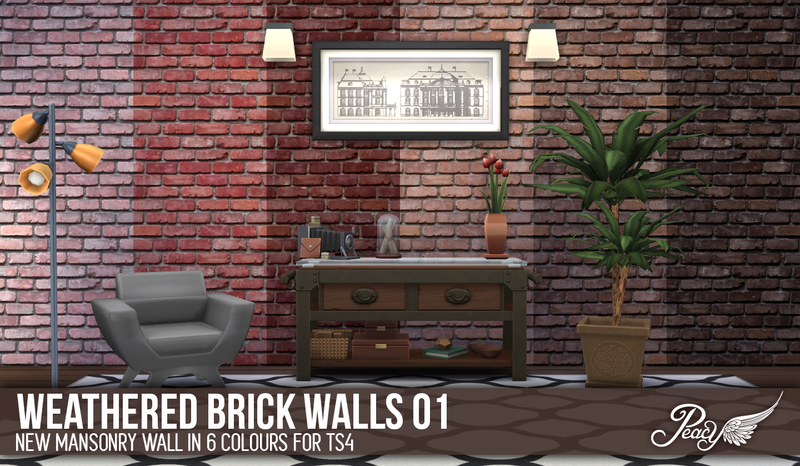 I am addicted to making walls. But you all get to share in my addiction, so it isn't that bad, is it? 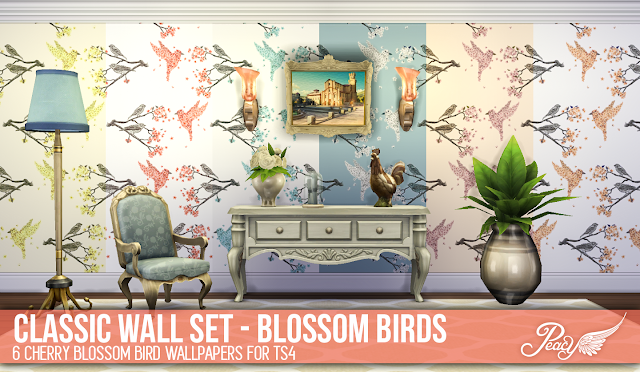 Anyway, I have had this image for quite some time (in the pink) and always wanted to turn it into a pattern for TS3. It failed miserably, but it hung around in my pictures folder. 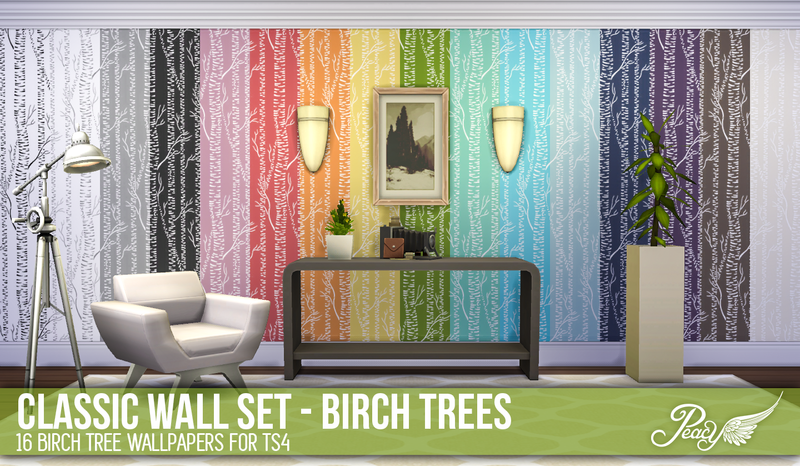 I came across it again and decided to mess with it some more and came up with these pretty walls. My faves would be the coral coloured one, and the duck egg blue one. They are just so pretty, and formal while being playful at the same time. I imagine these would be used as a feature wall in a master bedroom of some Victorian house. I might just have to decorate that myself. More walls! Next up is a willow pattern. I I remember someone made this for TS3, can't remember who though. I found the RL wallpaper and had to have it for my game. I have always loved willow trees, there is something mysterious and majestic about them. It was a hard pattern to recolour though, so it is only available in soft colours. More walls! I kinda made a lot. Sorry, not sorry. This is an awesome, quite feminine wallpaper with butterflies and delicate bunches of flowers. I really love it and they add a softness to a room. 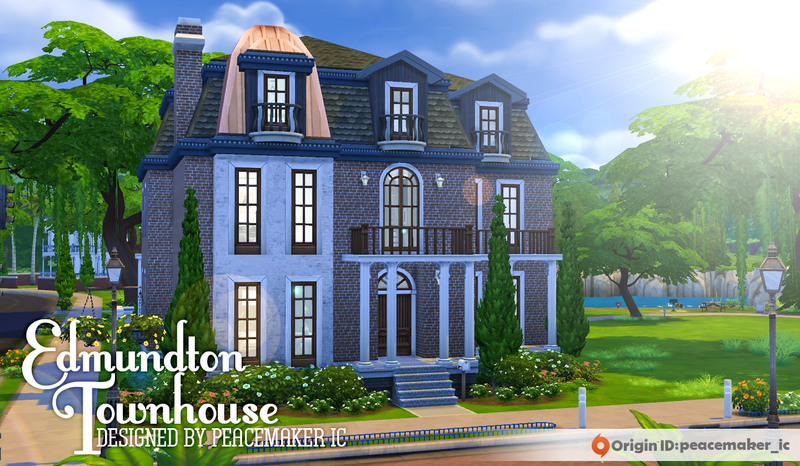 Today I bring you another new home from my rather eclectic mix of houses in my game. This one is a particular favourite of mine. I love all types of architecture, but i tend to shy away from victorian-esque homes because I find it hard to pull off the design. 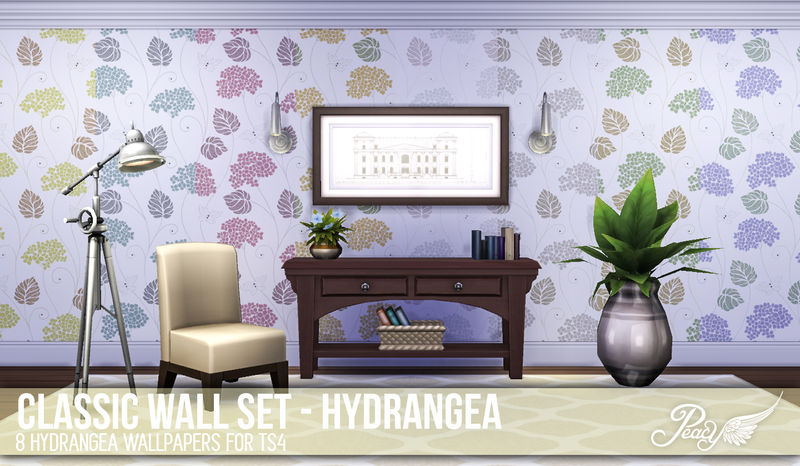 With TS4 I thought I would give it a go and this is the end result. I think I might move the Goths in here. 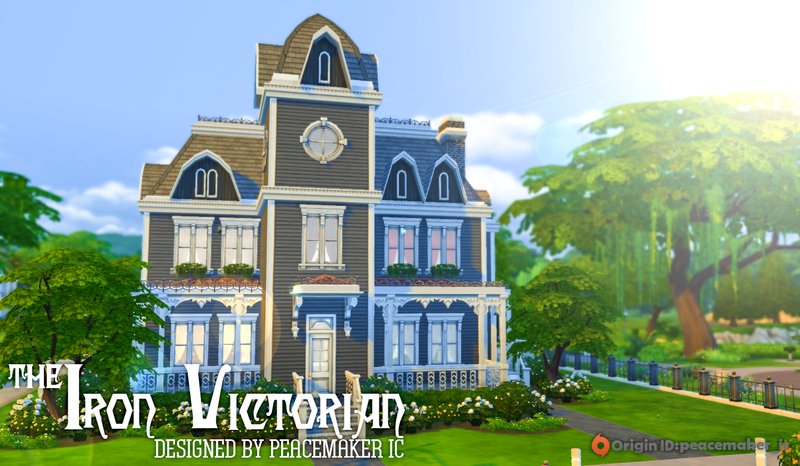 You can find the home in the gallery by searching for my origin ID peacemaker_ic, of the tags #PeacemakerIC, #SimsationalDesigns, and #IronVictorian.